(Bloomberg) -- The Senate passed bipartisan farm legislation that sets up a clash with the House and President Donald Trump over imposing broad new work requirements for food stamp recipients. The Senate bill, passed 86-11 Thursday, would renew subsidies for farmers and crop-insurance companies, along with food aid for low-income families. The Senate bill doesn’t include the work rules. The House version would make work requirements stricter and would shift some food-stamp benefits to job-training programs -- changes critics say are designed to throw needy Americans off the rolls. The House and Senate versions of the five-year, $867 billion legislation will need to be reconciled. Trump backs the work rules in the House plan, which was passed 213-211 last week without any Democratic votes. The bill is H.R. 2. 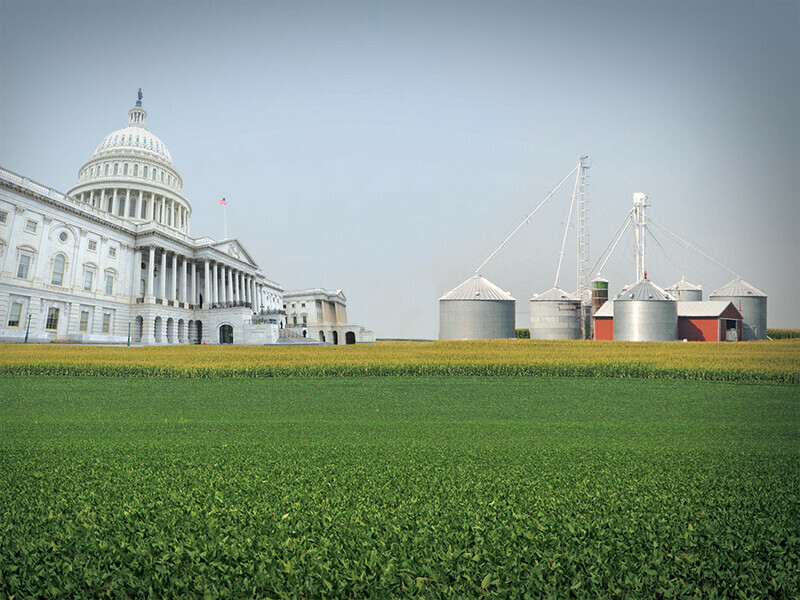 Lawmakers are under pressure to act before current farm programs begin to expire on Sept. 30. The farm legislation is a traditional vehicle for modifying the Supplemental Nutrition Assistance Program, better known as food stamps. Republicans said the work requirements are needed to move food stamp recipients into the labor force at a time of worker shortages. Democrats rejected those provisions because they said they’ll reduce benefits and increase paperwork without effectively moving people into jobs. The Senate plan boosts funding for pilot programs that study the effectiveness of job training for food-stamp recipients, but doesn’t change work rules nationwide. The House version changes eligibility rules for food stamps. Senators voted not to take up a proposed amendment that would have created work rules similar to those in the House legislation. The Senate bill’s supporters said they were concerned the provision would doom passage, a priority for vulnerable farm-state lawmakers from both parties. "It’s not the best possible bill, it’s the best bill possible," given the partisan divide in the Senate, said Senator Pat Roberts, a Kansas Republican and chairman of the Agriculture Committee. The Senate’s farm bill lowers the adjusted gross income threshold at which farmers are no longer eligible for farm subsidies to $700,000 from $900,000. In addition, it would increase funding for U.S. Department of Agriculture trade-promotion initiatives. Funding for trade programs is of heightened concern to farm groups as Trump threatens to impose new tariffs against major U.S. agricultural buyers such as Canada, Mexico and China. The Senate bill also would boost acreage in the Conservation Reserve Program, the biggest USDA land-idling program, to 25 million acres from 24 million. The House bill raises the cap to 29 million. Under the program, farmers agree to halt production on environmentally sensitive land in exchange for an annual payment. The proposal would also legalize hemp production by removing the marijuana relative from the federal list of controlled substances. 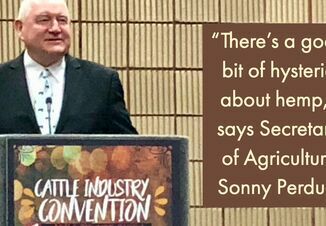 That initiative is a pet project of Senate Majority Leader Mitch McConnell of Kentucky, whose state would be poised to become a leading grower of legal hemp.